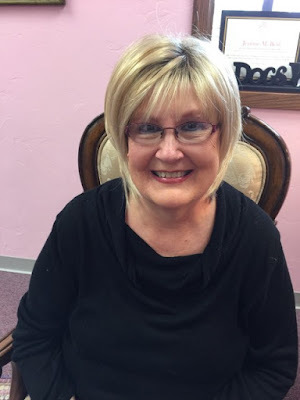 I want to extend my thanks to the Sweethearts of the West blog for inviting me to be a regular contributor. I decided as an introductory post, I would share some of my localities for my writing. 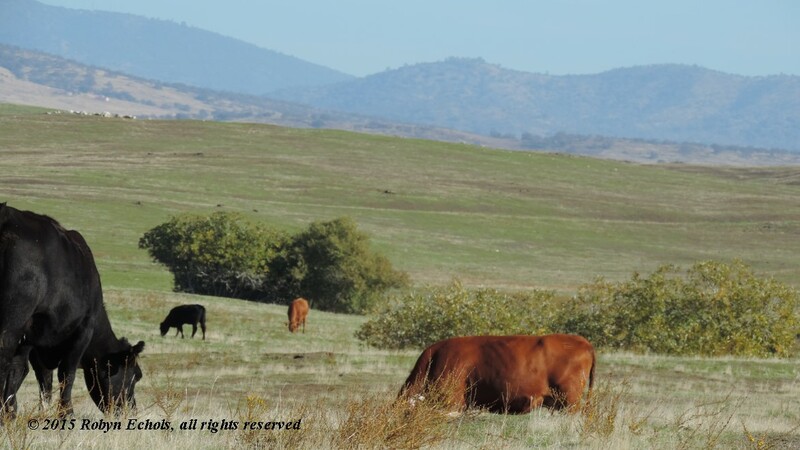 California has every element found in other western localities including all forms of cattle ranching, mining and lawless desparados. Here is a little tour of my neck of the woods, and where I may easily drive to take pictures of regions that become the settings for many of my books. I live in Merced County, which bills itself as "The Gateway to Yosemite." The southern tip of the Mother Lode region is found in Mariposa about an hour's drive to the east of where I live. Mariposa has a wonderful Gold Rush museum with mining equipment. Another hour or so beyond that is Yosemite National Park, one of my favorite places to visit. 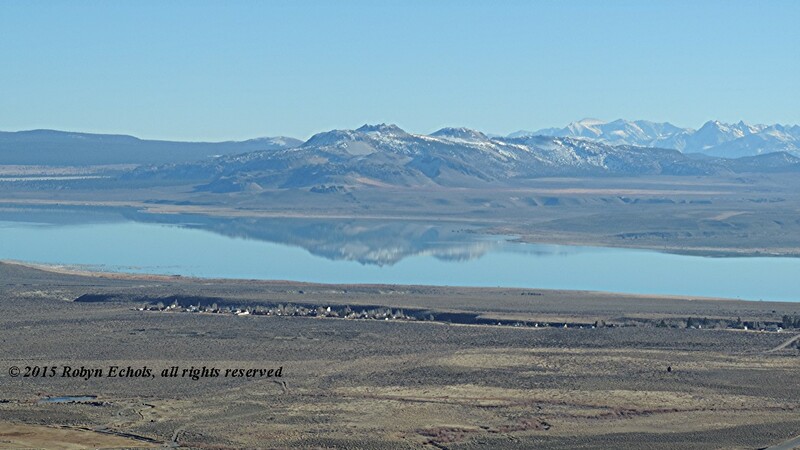 Over the hill (and through some lovely scenery) is Lee Vining and Mono Lake. 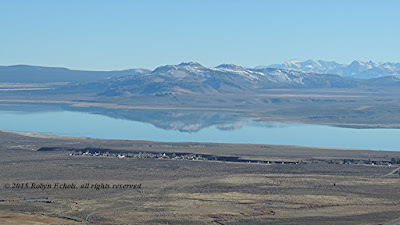 Traveling north of the western shore of Mono Lake on Highway 395 and to the west is the road up Mill Creek Canyon to the town of Lundy. Currently, Lundy is a little seasonal fishing resort. However, from 1879 through 1884, it was the town that housed miners for a multitude of gold mining activities in the surrounding mountains, including the May Lundy Mine and the May Lundy Mill (stamp mill). 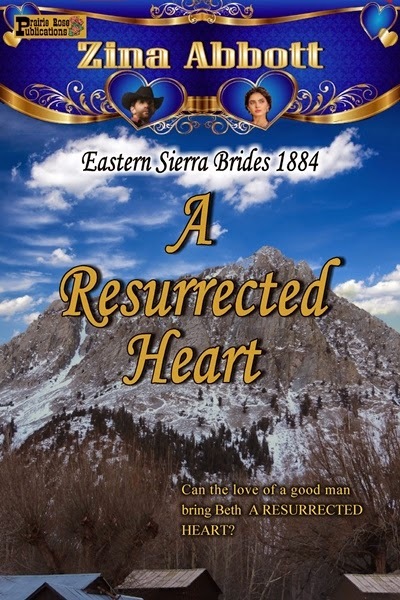 It is there I set many of my scenes in my Eastern Sierra Brides 1884 series, particularly in the earlier part of the year. The cover of the second book in the series, A Resurrected Heart, includes my photo of the rooftops of current-day Lundy with Mt. Scowden in the background. 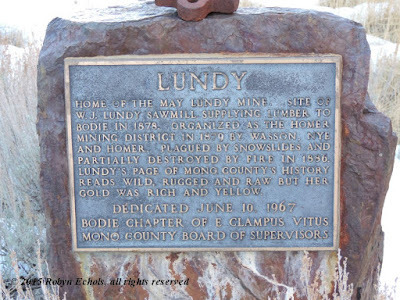 The May Lundy Mine was on Mt. Scowden. This book has nothing to do with the resurrection associated with Easter. However, in 1884, it took place on April 5th in Lundy and marked a very different type of celebration. As I continue to travel north on Highway 395, I eventually reach the Mono County seat of Bridgeport. 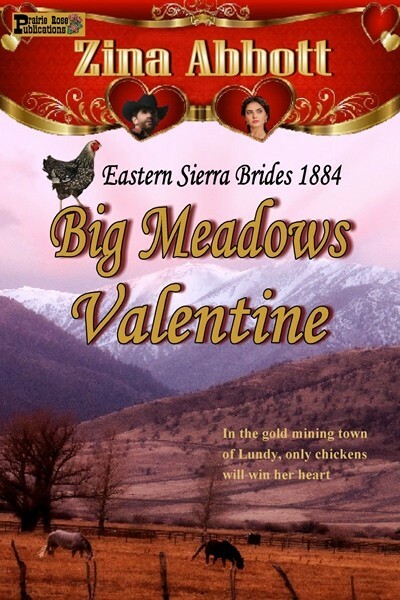 It is in a region that originally was known as Big Meadows, which prompted the title of my first book in the series, Big Meadows Valentine. That book covered the first week in January, 1884 through Valentine’s Day. It is also the region where the later books in the series (so far) are set. 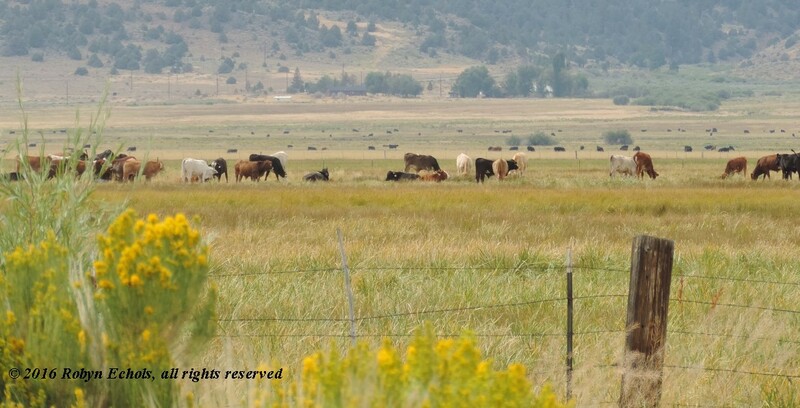 The photo of the cattle grazing in Big Meadows was reminiscent of the herds on the Caldwell Ranch. After turning west on Highway 108, I cross Sonora Pass, a road in use at the time my series takes place. In fact, Mr. Leavitt who constructed the Leavitt House in Bridgeport originally owned a stagecoach stop along this highway. After a cross the summit of the Sierra Nevada Mountains at Sonora Pass, I eventually get to the 49er gold rush town of Sonora. Less than five miles to the north is another favorite setting for some of my books: Columbia, which started as Hildreth’s Diggings in 1851. Columbia is now a state park. Every effort has been made to preserve the buildings to provide an authentic idea of what the town looked like in the days of the gold rush until the end of the century. 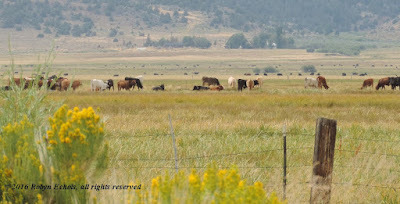 As much as I enjoy writing books set in other states such as Kansas and Colorado (another favorite “go-to” state since I have children and grandchildren living there), I have found the opportunities for locating varied and interesting settings for my historical western novels very close to home in California. The possibilities are as great and endless as the state's beautiful scenery. And what I have shared today is all within a day trip driving to the east of my home in central California. We’ll talk about the great novel settings in the other directions from my home another time. Zina Abbott is the pen name used by Robyn Echols for her historical novels. 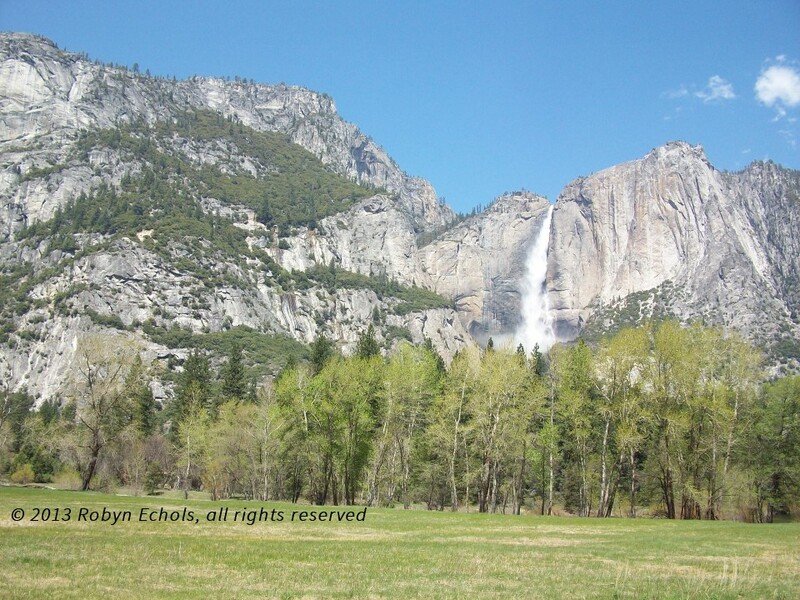 A member of Women Writing the West and Western Writers of America, she currently lives with her husband in California near the “Gateway to Yosemite.” When she is not piecing together novel plots, she pieces together quilt blocks. Oh, how I love a good villain! Whether I’m reading about one or watching him/her on film, or best of all—WRITING ONE! What makes a good villain? Well, in my opinion, first and foremost he can’t be one-dimensional. I know in our “real world” there are those people that seem to be evil just for the sake of it and some of them probably are. But in our reading/writing, we want to know WHY. What made this person turn out like he did—a diabolical, cunning, demonic person that will stop at nothing to accomplish what he’s set out to do? This leads to the question, is there anything at all that would stop him from carrying out his evil plans? Would a memory stop him, or trigger him? Would any one person be able to reason with him? Would a “new plan” divert him from carrying out the blueprint for disaster for the hero/heroine that he’s already come up with? But there are other things that have to be reckoned with. Those things that might have happened to him in his past to create and mold him into the kind of person who would be so bold and determined to use anything—no matter how it hurts others—to his own advantage are important. But what are the factors that drive him presently? A circumstance of opportunity? A long-seated need for revenge and the path to that revenge being presented? Greed? Burning jealousy? Maybe even the death of a loved one that he may not have wanted to embarrass by his actions while they were still living—now that they’re gone, all bets are off! THE DEVIL AND MISS JULIA JACKSON has the heroine caught between a distant relative who throws her and her niece out of their home and the job as nursemaid she takes in Indian Territory, working for a man who is, at first, cold and unresponsive. The villain in this story shifts between the man who threw Julia out of her home to someone else who means to destroy her employer. I’ve had so many villains I’ve created in my writing that were motivated by different things. 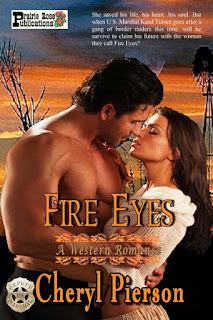 My first one, Andrew Fallon, appeared in FIRE EYES. He was just pure evil. He didn’t care about anything or anyone—even his family, as his brother found out when he came looking for him. In TIME PLAINS DRIFTER, the villain is paranormal—a demon who can shape-shift. How in the world will the innocents he’s after survive? They have a reluctant angel or two on their side, but the demon is powerful. Can they overcome his strength? In my first contemporary romantic suspense, SWEET DANGER, Tabor Hardin has his revenge handed to him on a silver platter, being in the right place at the right time to turn the tables on the undercover cop who put him in jail—before his escape. He’s a man with nothing to lose at this point, and Jesse Nightwalker, the cop, has a new life hovering on the horizon—if he can survive. Greed comes in to play in BEYOND THE FIRE, when undercover DEA agent Jackson Taylor’s cover is blown and a drug lord comes after him, trying to use Jack’s undercover partner against him. But there is a secret that even Jack hasn’t known about his partner—and the woman he’s falling in love with. Is it enough to defeat the powerful drug cartel and keep Jackson, Kendi, and his partner safe? Treachery comes in all forms and it’s most often quite a surprise. No matter how vigilant our heroes are, they come up against some very foreboding, sharp cunning from the villains—after all, they have to have a worthy opponent, right? Speaking of worthy opponents, I’ll talk a little about my contemporary romantic suspense CAPTURE THE NIGHT—where the villain, Kieran McShane, runs his own rogue faction of the Irish Republican Army and plans to murder Great Britain’s Prime Minister while he’s on vacation in Dallas. Johnny Logan is an undercover Dallas cop, staying in the hotel as added protection for the prime minister; Alexa Bailey is treating herself to a one-year divorce anniversary vacation. When McShane takes over the entire hotel, it’s only a matter of time before he discovers them up on the roof in the maintenance housing—and collateral damage means nothing to him. With the hostages brought to the roof, McShane threatens to begin throwing them over one by one—unless his demands are met. Can Johnny and Alexa survive the whims of a madman, bent on political revenge? 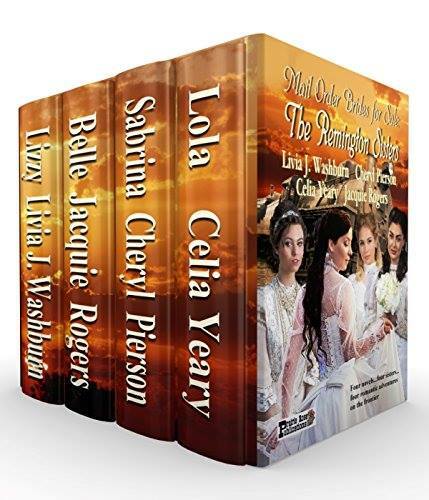 One of my favorite recent stories is SABRINA, one of four novels that appears in the boxed set MAIL ORDER BRIDES FOR SALE: THE REMINGTON SISTERS. Four sisters are at the mercy of their stepfather who plans to sell them to the highest bidder now that their mother is dead. But these girls have other plans. Can they manage to get away? Will they be able to keep themselves safe from Josiah Bloodworth no matter how far away they go? This is a very fun set of four full length novels, each sister’s story penned by a different author. Livia Washburn Reasoner—Lizzy; Jacquie Rogers—Belle; Celia Yeary—Lola; and Cheryl Pierson—Sabrina. “So you see, dear Sabrina, you have no true choice about what you do—and neither do your sisters.” Bloodworth spread his hands as he spoke. “You will, indeed, come home to Pennsylvania from this godforsaken place and do exactly as you are told. You will marry a man—a proper gentleman—of my choosing.” He took a step closer to her. She faced him unflinchingly, her head held high. “I will no more return to Philadelphia with you than fly to the moon. You would do well to carry your pompous, maggot-ridden self away from here and get as far east as you can go posthaste—before my husband returns for us—and sends you straight to hell.” She spoke as regally as a queen to the lowliest dregs of society, without a trace of fear. A thin smile touched Bloodworth’s lips, but the calm iciness in his pale eyes was what put Cam on alert. This man was determined, and he believed no one could stop him. His muscle-bound cohort stood near the door, keeping watch so that Bloodworth didn’t need to worry about any distractions—from the two other women, or from any of the townspeople. The slap Sabrina gave Bloodworth echoed through the room, and brought a spot of blood to the corner of his mouth. Unruffled, he took out his handkerchief and dabbed at it. “I’m going to kill your husband, Sabrina Rose. It will be a long…slow…and very, very painful death. And you will have only yourself to blame." So many wonderful reasons for becoming a villain! The motivations are just endless, aren’t they? It’s a fine line to walk, making them evil, yet sympathetic in some instances, and letting our readers see a glimpse of their humanity—if they have any left. Do you have a favorite villain you’ve written or read? What about your favorite film villain? 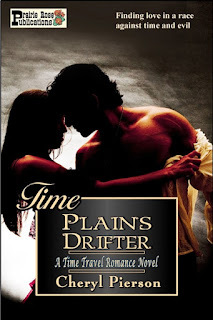 Jodi Thomas is one of my favorite western authors. In fact, some of her books are on my keeper shelf. 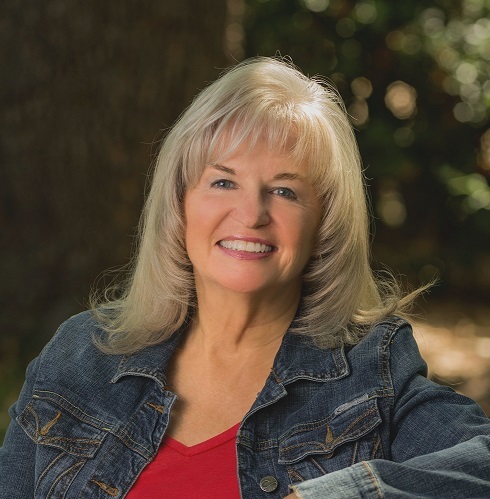 For the last few years, her books have been set in West Texas, which is where she lives. 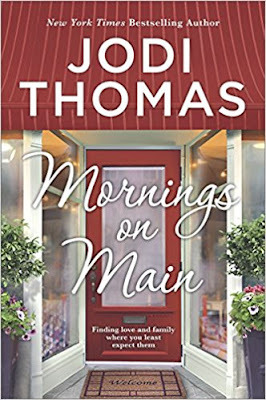 MORNINGS ON MAIN is set in East Texas, in the small town of Laurel Springs. Jillian James is a wanderer. Except for two years at university, she has never lived in one place long enough to make friends or belong. Her father, who disappeared when he left her at university, would never reveal anything about her mother or why he moved so often. His motto was “pack nothing from the past, not even memories”. 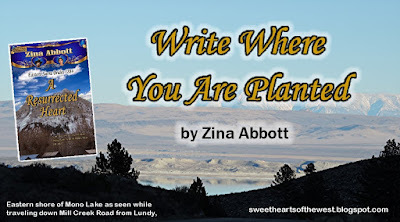 Because she has only a few scribbled notations of his, she chooses the first zip code he mentions to learn if that might be where her life began. When she looks for a job, Conrad Larady, mayor and newspaper owner, hires Jillian to work at his grandmother’s quilt shop, A Stitch In Time. Jillian warns him that she only plans to be in town for three months. She is to photograph and catalog each of the quilts in the shop before his grandmother’s Alzheimer’s means the stories are lost forever. Jillian enjoys hearing Eugenia relate the stories. Before long, she and Conrad become friends. Jillian also meets Conrad’s teenage daughter Sunnie, who does not live up to her name. Sunnie loves Eugenia, though, and is very good with and to her. A Stitch In Time is central to the town and through her work there, Jillian meets many of the locals. Conrad is amazed at how detailed Jillian’s quilt write-ups are and how clear her photographs and he submits several to large newspapers for her. Jillian has no plan to develop attachments, but she is growing closer to both Conrad and Eugenia. As with each of Jodi Thomas’ books, this one has a sense of community. Like each of the small towns I’ve known, Laurel Springs is filled with quirky characters as well as those who are mainstream or average. I love the warm feeling produced by her small-town novels and this is no exception. Her words weave a wonderful mind picture. This is the first of her new series. I’m eager to read the coming titles and learn more about the residents of Laurel Springs. This book deserves 5 stars. I was furnished an ARC of this book for an honest review, which this is. 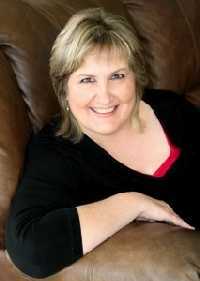 Caroline Clemmons writes western contemporary and historical romances. 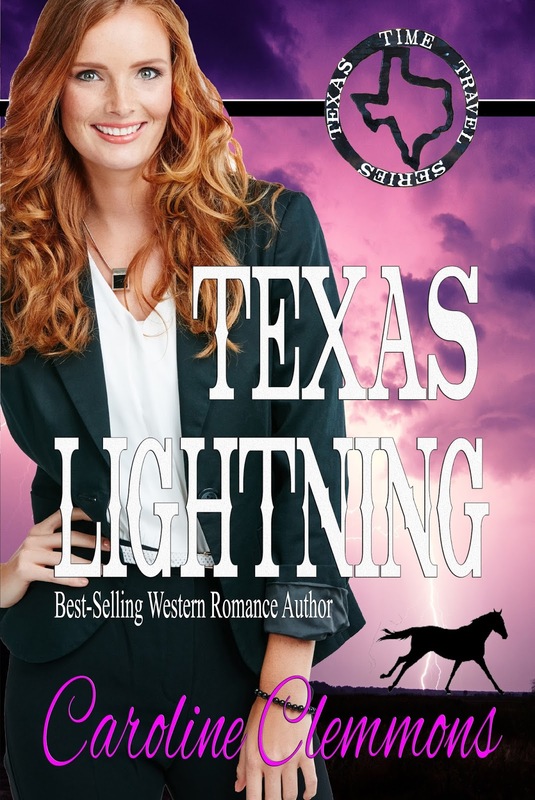 Her latest is a time travel romance, TEXAS LIGHTNING, which begins on a ranch in 1896 and moves to the same ranch today. 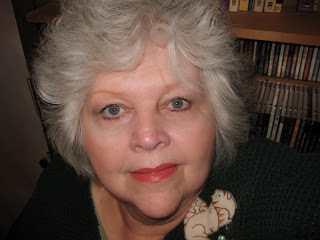 Find her on her blog, website, Facebook, Twitter, Goodreads, Google+, and Pinterest. 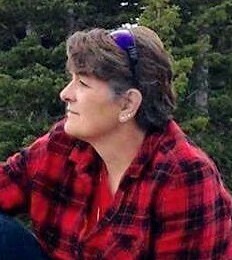 Click on her Amazon Author Page for a complete list of her books and follow her there. Travel to the west started with the horse and canoes as the trappers and explorers moved across the continent looking for more riches and more land. 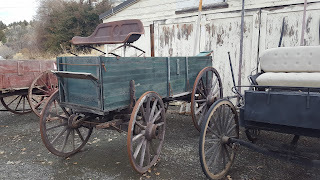 As the military and families moved toward the Pacific Ocean wagons, buggies, and stage coaches moved the people and freight. The larger river systems had sternwheelers. And eventually railroads stretched from one coastline to the other, making travel even easier. 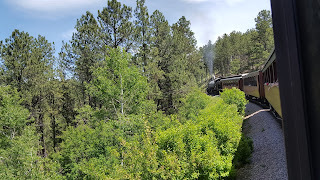 Part of researching for a book is learning what conveyances were used where and when.My first published book, Marshal in Petticoats, I'd set the date and wrote the book with a train scene, only to find out there were no trains in the area at that time. Wanting to keep the integrity of the time, I tried writing the scene with a stage coach . 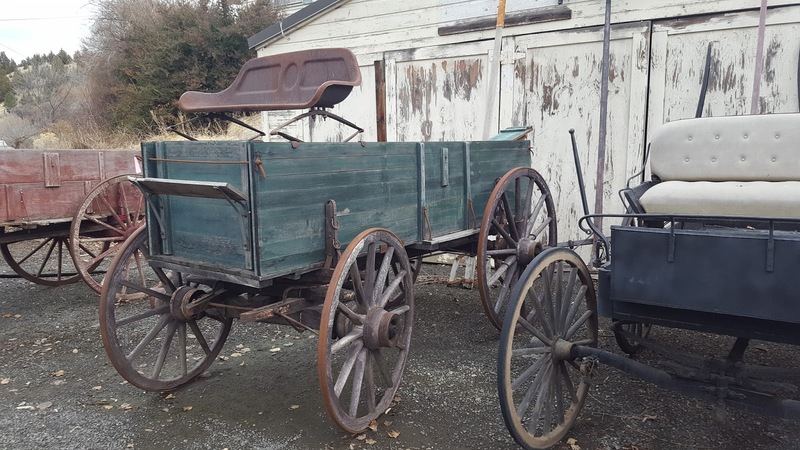 A stage coach didn't work nearly as well. I changed the time of the story and had to go through and re-read newspapers for the new time to make sure I had other aspects correct in the story. but I ended up with a book I was happy with. If you would like to read this book it is free at all ebook outlets. The lowest price ticket, third class, put a passenger in an open car with a wood seat and one “washroom” to be shared by men and women, situated at one end of the car, and unsavory company. The washroom would have a reservoir to dip water to wash and an outhouse style “commode”. These people could usually only afford the low price ticket and brought their food, if a long journey, with them. The next level of traveler, second class, purchased a ticket for an enclosed passenger car with padded seats, a men’s and ladies, “wash room”, and they could either bring their own food, or purchase meals at the meal stops. But the meal stops were only fifteen to twenty minutes long while the train took on water and the food was usually not very good. 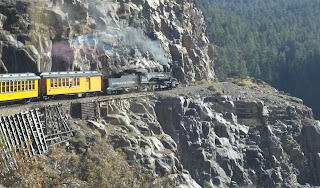 While researching the trains I came across sternwheelers on the Columbia River and set my book, Gambling on an Angel there. 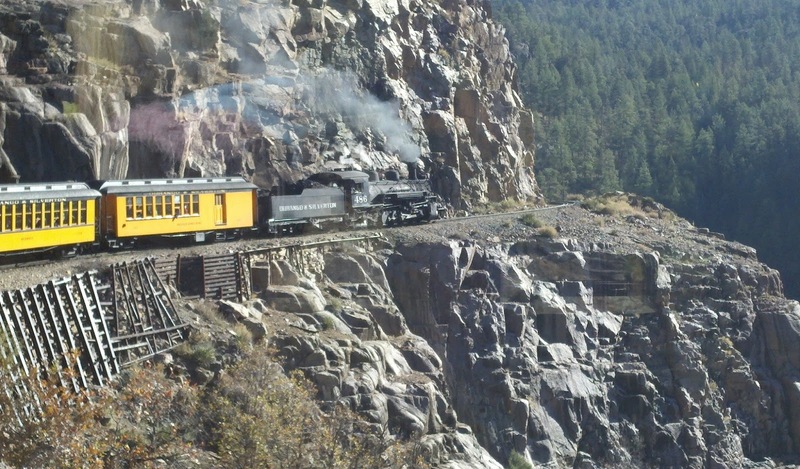 The fourth book in the Halsey brother series, Doctor in Petticoats, has the hero and heroine traveling by train and required even more research to find out about what kind of cars were on the trains in Oregon at that time and how they were set up. In Doctor in Petticoats and Savannah: Silver Dollar Saloon the characters ride in style. Until 1857 when George Pullman, a carpenter, invented the Pullman Sleeping car, first class passengers had leather upholstered seats in enclosed cars with two washrooms- men’s on one end and women’s on the other and use of a buffet or dining car. When the sleeping car began being used on the overnight trips, railroads used this new luxury coach in their ads to increase train travel. Before Pullman’s luxury cars were built, there had been railroad cars which had wooden bunks and a passenger could bring their own bedding and use. The plush Pullman coaches had padded velvet seats that folded down into comfortable beds and beds were pulled down from the ceiling as well. The first cars had curtains that closed for privacy. And special “Pullman Porters” were men trained to attend the passengers needs. These cars were made of mahogany, black walnut, and oak with etchings on the glass doors on the ends and gas lit chandeliers. One end of the car had a man’s salon, wash room, and lavatory while the other end had these same amenities for the women. They also had hot running water. The first class passengers in the Pullman coaches either ate in the dining car, if the line they were riding had them, or the buffet car, where they could purchase sandwiches, drinks, and snack items, or they could also suffer the poor fare and get a rushed meal at the meal stops. The dining cars by the 1870’s offered a menu of over 80 dishes with a price of 75 cents per meal- the equivalent of an average traveler’s daily wage. Even though the second and third class passengers could eat in the dining car, few were able to afford the luxury. Of course this in only a fraction of the information I uncovered, but I thought you might find it interesting. 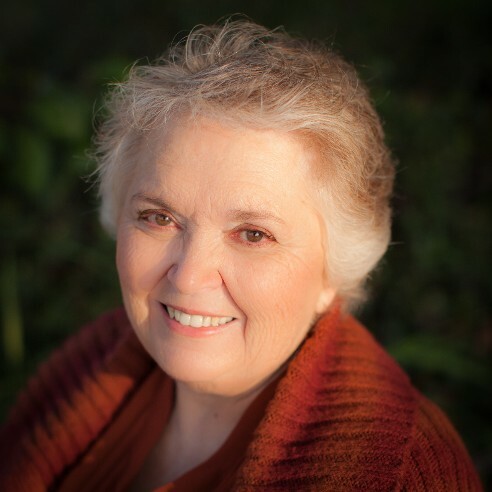 Paty Jager is an award-winning author of 32 novels, 6 novellas, and numerous anthologies of murder mystery and western romance. 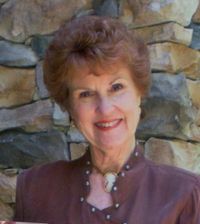 All her work has Western or Native American elements in them along with hints of humor and engaging characters. 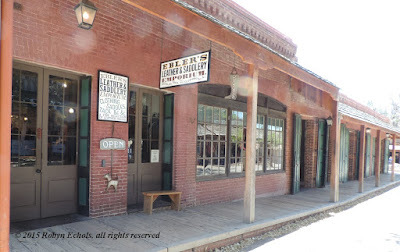 This is what readers have to say about the Silver Dollar Saloon series: Paty Jager brings her characters to life, right off the pages of her book. You will laugh, cry, be sad and get angry right along with the characters. Before I get into today's main topic, I have happy news. 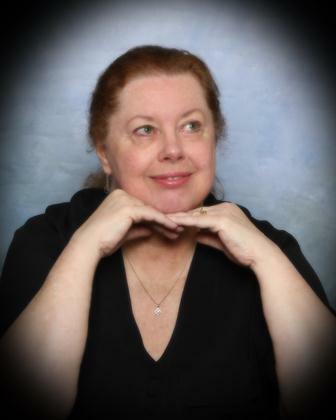 I just signed with Northern Lake Publishing, a new company run by Craig Hart, a mystery writer whose writing I admire. 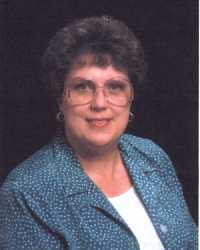 He specializes in publishing mystery and suspense, and will be marketing my Romancing the Guardians ebooks. I'm excited about this opportunity. Now for my other news. A month from now Hubby and I will be in Arizona on a combination vacation and research trip. First, we will visit my niece and her family near Phoenix. Then we’ll drive to the northeast corner of the state, to the town of Chinle in the Navajo Nation. The Navajo named this area Ch’ini’li, meaning “where the water flows out”, referring to water flowing out of nearby Canyon de Chelly, which we plan to tour with a knowledgeable Navajo guide. First anglicized as Chin Lee, the name was changed to Chinle on April 1, 1941. Long before that, the location served as a center of trade and war for the Spanish against the Native Americans. Later, Chinle was the site of an 1864 peace conference between Kit Carson and the Navajo, ending their war with the U.S.
After the Treaty of 1868 was signed, Navajos returned to their homelands and many families came back to Canyon de Chelly and the Chinle area. The first trading post (only a tent) was established there in 1882. 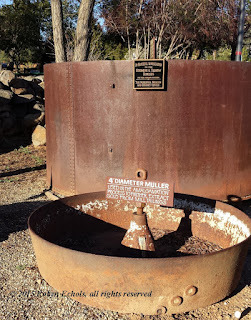 This grew into a camp by 1885. A government school was established in 1910. Canyon de Chelly has provided food, water and shelter for groups of people for over 5,000 years including Archaic, Basketmakers, Ancestral Puebloans, and Hopi. Today, about 40 Navajo families live and farm in the canyon which limits access into the area. Nearly 84,000 acres of tribal lands were established as Canyon de Chelly National Monument under the National Park Service by President Herbert Hoover on February 1, 1931. To better manage the park, the National Park Service is working with the Navajo Nation, Bureau of Indian Affairs and other stakeholders to establish a cooperative management agreement. Notable areas in the park include Spider Rock, White House Ruin, Antelope House Ruin and Mummy Cave Ruin. And I’m going to see them all. I can’t wait! 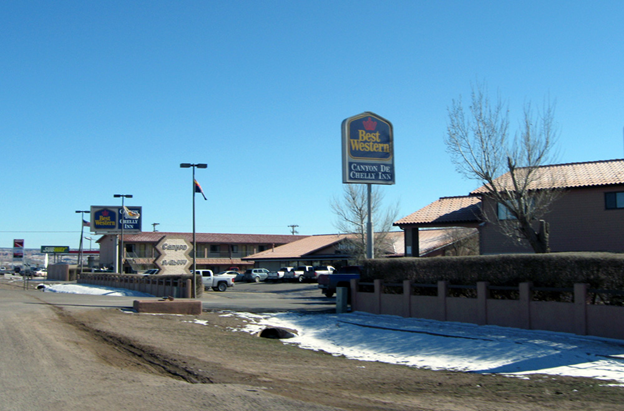 Where we will stay in Chinle; Our guide will pick us up there. Shouldn't be snow in late April. I hope! Lyn Horner is a multi-published, award-winning author of western historical romance and romantic suspense novels, all spiced with paranormal elements. She is a former fashion illustrator and art instructor who resides in Fort Worth, Texas – “Where the West Begins” - with her husband and a pair of very spoiled cats. As well as crafting passionate love stories, Lyn enjoys reading, gardening, genealogy, visiting with family and friends, and cuddling her furry, four-legged children. 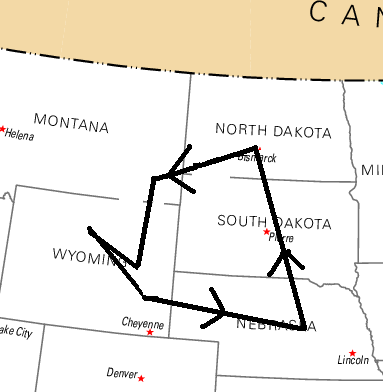 I always wondered who the first white explorers were to step into the country we now call Wyoming. I was quite surprised to find it was the French who first explored Wyoming. From 1742 to 1743 the Verendrye brothers were the first European men to explore the land from the Great Plains to the Rocky Mountains of Wyoming. Not much would have been know about their exploration if a journal had been found in the French archives in 1851. The journal was difficult to interpret, but a lead plate was also discovered buried near Pierre, South Dakota. I find it amazing that, in all that big, wild country, someone found a lead plate. The journal states the journey was made by the Chevalier Vérendrye and his brother who was not identified. It is assumed the Chevalier was Louis-Joseph Gaultier and his brother, Francois de La Verendrye. Previous to the Verendrye brothers exploration, the French founded Quebec City in 1608 and quickly built a fur-trade empire throughout the Saint Lawrence River basin. They expanded southwest into the Mississippi River from 1690 to prevent the English from going beyond the Atlantic Coast. The Spanish Villasur expedition left Santa Fe to contact the French in 1690, but they were stopped by the Pawnee in Nebraska. The first European crossing of the Great Plains was accomplished by Pierre Antoine and Paul Mallet who traveled from the Mississippi River to Santa Fe in 1739. The two Verendrye brothers headed west to the Rocky Mountains, but the journal they wrote is difficult to decipher because of modern geographic and tribal names. Because their astrolabe was broken, there are no latitudes noted in the journal. 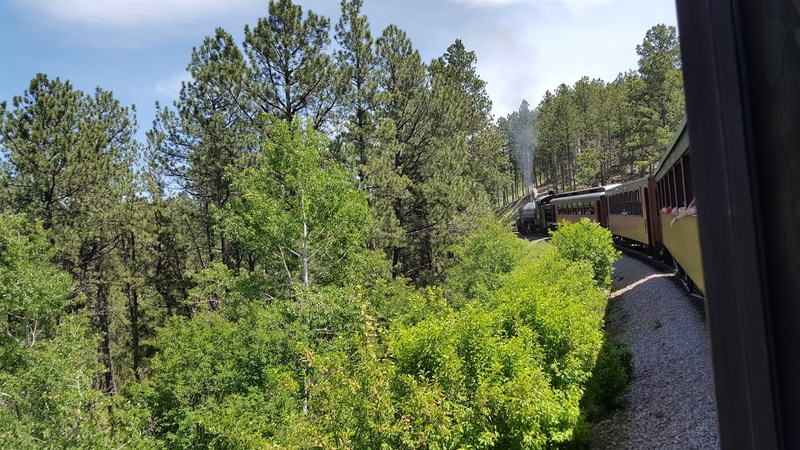 Later, others interpreted their journal as best as they could and determined the Verendrye brothers reached either the Big Horn Mountains, the Laramie Mountains, or the Black Hills. 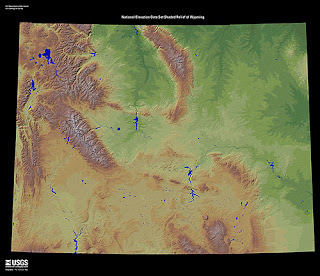 On this map, the Big Horn Mountains are in the north center. To the west is the Big Horn Basin and, beyond that is the Yellowstone Country. The Laramie Mountains are actually a projection of the Laramie Mountains. The North Platte is just north of the Laramie Mountain. The Black Hills are just east of the map. The Chevalier Verendrye, his brother, and two more Frenchman left Fort La Reine on April 29, 1742 and reached the Mandan village on May 19. They waited there for two months for the Horse People who didn’t show up, so they found two Mandan guides and headed west southwest on July 23. They traveled for twenty days through a land they described as having multicolored soils and plenty of animals, but no people. Finally, on August 11, they reached the the mountain of the Horse People. Their guides would go no further, so they built a camp and lit signal fires. On September 14, a month later, they saw smoke on the horizon in apparent answer to their signals and met the Handsome People and stayed with them for 21 days. On October 9 they headed south southwest with a Beau Homme (Handsome Man) guide. They met the Petits Renards (Little Foxes) on October 11, and the ‘Pioya’ on October 15. At last, on October 19, they reached the Horse People who were in dire circumstances because all their villages had been destroyed by the Gens du Serpent (Snake People.) Two years prior, the Snake People had destroyed seventeen villages, killed the men and old women, and took the young women to be sold at the seacoast. The Horse People said they had never made it to the sea because the Snake People blocked their route. The Horse People suggested the Verendrye brothers seek the Gens de l’Arc (Bow People) who were said to be the only tribe courageous enough to fight the Snake People. I have to say here that I like all these descriptive names given to the different tribes of what I am assuming are the Indigenous Americans. The brothers stayed with the Horse People for a while before they headed southwest to meet the Gens de la Belle Riviere on November 18. On November 21, the brothers met up with the Bow People. Their chief told the brothers he knew about the “French on the sea coast” and said they had many slaves that were so happy they didn’t run away. He also said they had officers and priests and used horses to work the land. When the chief spoke some words of these people, Verendrye recognized the language as Spanish. The Bow People were also familiar with the annihilation of the Villasur expedition twenty years before. The Verendrye brothers joined the Bow People who were making their way to “the great mountains near the sea” planning to fight the Snake People. They zigzagged their way west gathering more warriors as they traveled until they had more than 2,000 warriors plus their families. By January 1, 1743 they came within sight of the mountains and journeyed through the great prairies filled with many wild animals. On January 9, the warriors left the women, children, and the Verendrye’s baggage behind in the camp. The Chevalier’s brother stayed behind in the camp to guard their belongings. The warriors reached the very high mountains which were heavily wooded on the “twelfth day.” Their scouts discovered the Snake People had hastily abandoned their village. Some of the warriors feared the Snake People were headed to their camp to attack while the warriors were gone and left the party to return to camp to protect their families in spite of the chief’s efforts to stop them. The Chevalier had no choice to go back with them, but there was no further sign of the Snake People after that. So much for those fearsome Snake People. The Bow People assembled warriors broke up into smaller groups to hunt for meat. The brothers stayed with the Bow People until March 1 who traveled east by southeast until one of the Frenchmen with them and a guide went ahead to contact the Gens de la Petite Cerise (Little Cherry People). 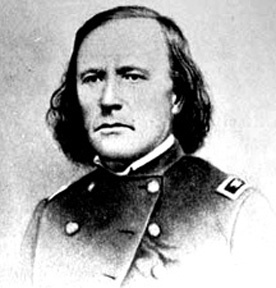 On March 15, the Frenchman and the guide returned with an invitation to join the Chokecherry People who were returning to their fort on the Missouri River. They met a man at the fort who had been raised by the Spanish who told them it would take twenty days by horseback, but it would be dangerous because of the Snake People. He also told them of a Frenchman who lived three days’ journey away. 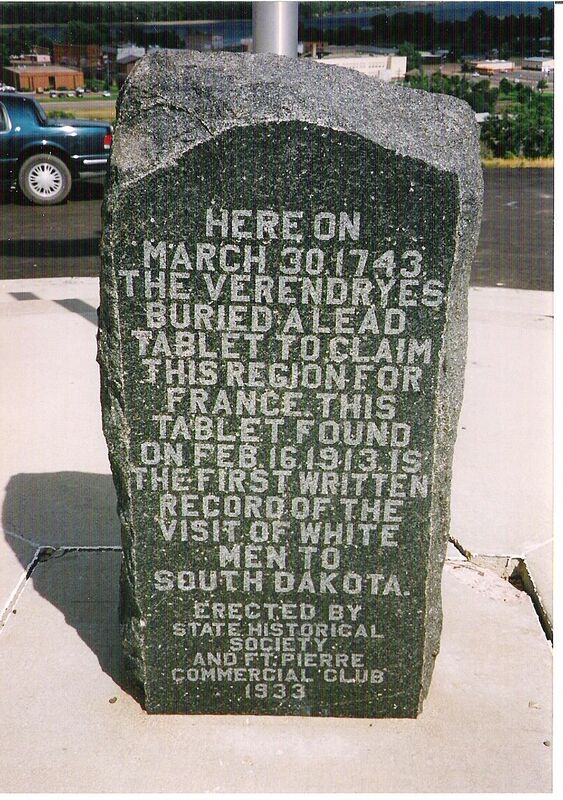 On March 30, the Verendrye brothers buried the lead plate on which their journey was recorded. 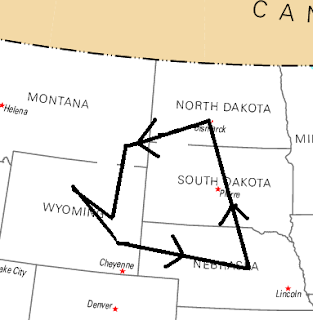 They left Pierre on April 2 and, on the 9th, met with twenty-five families of the Gens de la Flêch Collée (Glued Arrow People) also called the “Sioux of the Prairies.” The party reached the Mandans on May 18. They joined a party of 100 Assiniboines who were going to Fort La Reine on May 27th. 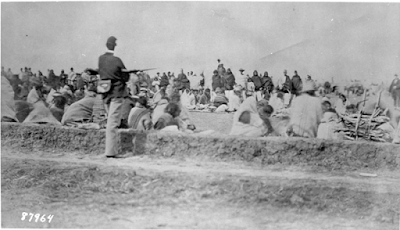 They were ambushed a few days later by a Sioux war party, but the Sioux withdrew because of the number of Assiniboines and French guns they faced. They rested their horses at a “village near the mountains” on June 2 and, on July 2, 1943, they reached Fort La Reine completing their journey. The lead plate the brothers buried was found in Pierre, South Dakota in 1913 and now resides in the South Dakota Cultural Heritage Center in Pierre. The dimensions of the plate are six by eight inches. The front has a die-stamped Latin inscription referring to Louis XV, Pierre La Verendrye and the year 1741. On the back is scratched “Placed by Chevalyet de Lave, Louis la Londette, A Miotte, March 30, 1743. Londette and Miotte are most likely the two Frenchmen who traveled with Francoise and Louis-Joseph Verendrye. Francois returned east to serve in the army during the Seven Years’ War. He died July 31, 1794 in Montreal, Canada. He was one of two brothers to use the title “Chevalier”, the other being his brother Louis-Joseph. With his death, the name La Vérendrye disappeared. I am always so impressed to read about these early explorers for their dedication and perseverance to accomplish their task. I would have quit the expedition at the mention of those Snake People. Later on there would many other explorers to this rugged country, but the Verendrye brothers were the first white men recorded to lead the way deep into the west.